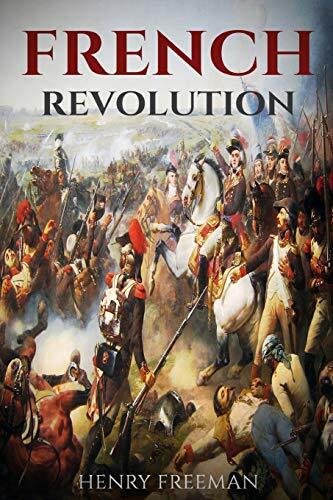 [PDF] French Revolution: A History From Beginning to End (One Hour History) (Volume 1) [French] | Free eBooks Download - EBOOKEE! Description: During the late years of the eighteenth century, the spirit of Enlightenment thinking and revolution were in the air. The world was changing, moving away from ingrained beliefs about religion, reason, society, and the rights of the individual and turning more towards the laws of nature as interpreted by the scientific method. Nowhere was the influence of this radical new way of thinking more apparent than in France, and the upheaval this caused would come to bloody fruition in the form of revolution. Inside you will read about - An Environment of Revolution - Rise of the Third Estate - The Rights of Man - Vive la Revolution! - Reign of Terror - The Last Revolutionaries And more! Explore the triumph and terror that existed in France during the French Revolution. Review the causes and the lasting effects brought about during this tumultuous time period when the common people of France struggled to remake their world upon the cornerstone of liberty. No comments for "[PDF] French Revolution: A History From Beginning to End (One Hour History) (Volume 1) [French]".